[2014 Noc] Forbes.com writer and biotech shill Jon Entine exposed as violent instigator who physically attacked wife and traumatized daughter - court documents Jon Entine is described by his own wife as a belligerent, violent, mentally unstable individual who committed acts of violence against his wife, psychologically traumatized his own daughter, installed surveillance equipment to spy on his wife's activities, attempted to compel his wife's therapist to testify against her in court, treacherously interfered with his wife's professional activities and engaged in a bizarre series of other reprehensible activities that no woman or daughter should ever have to endure. 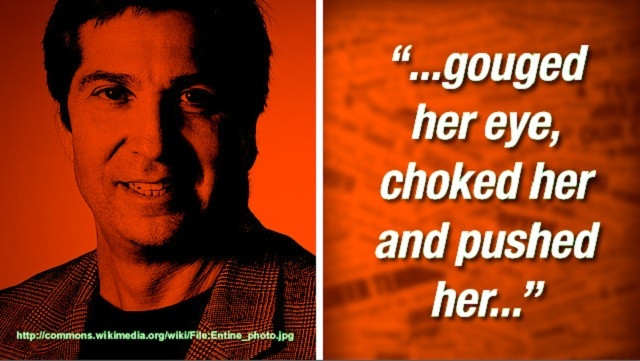 This is the true story of a biotech industry apologist and hit piece character assassin who made the mistake of attacking a woman who had the strength and courage to record his aggressions in sworn court documents now acquired by Natural News. Those documents, revealed here, tell the story of the desperate survival of a woman and her daughter who escaped the grip of a deranged individual who has long served as the poster boy for a biotech industry steeped in threats, intimidation and fraud.